To email a work item, open the work item in TSWA. Go to the Tools menu shown below and choose Send as Email. You’ll get a new window where you can enter the person’s full email address and type a message. 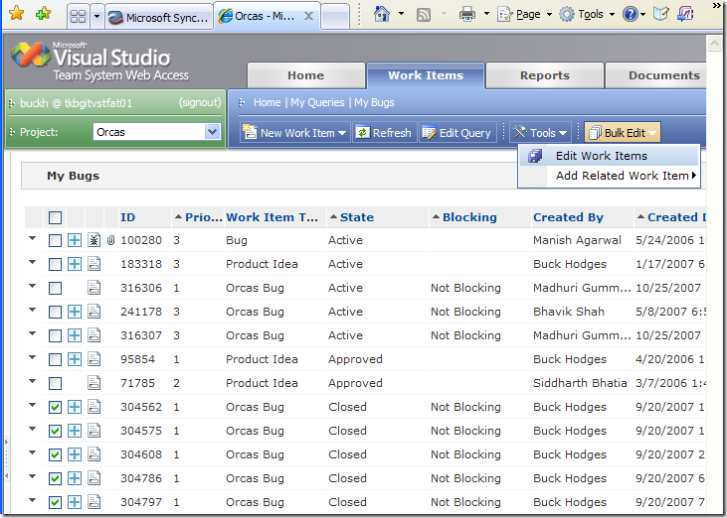 The message body contains a link to the work item in Team System Web Access and all of the work item’s fields and contents. You can also email query results. As with the work item above, go to the Tools menu and choose Send as Email. You’ll then get a similar email window that contains the results of the query and a link so that the email recipient can run the same query.